Still sick at home. So don't get too close to the screen as you're reading this. I don't want you to catch what I've got. In the meantime, there's a pair of podcasts to tell you about this week. 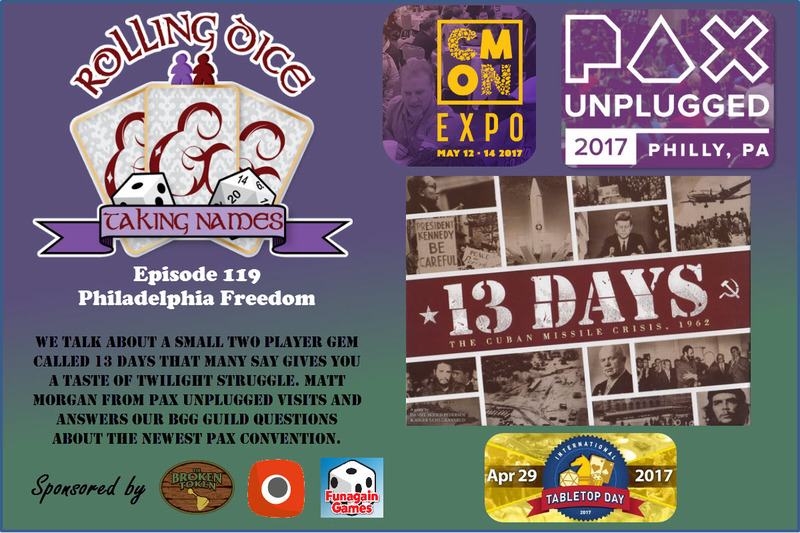 Today we have: All Us Geeks Episode 67: Is There Splendor Within A Creative Clash?, Epic Gaming Night Podcast Ep 54 SeaFall With Rob Daviau, and News of the North – 2016-05-17. When I have culinary projects I'm working on, I'll often have gaming stuff going on as well, mixing my two pastimes together. Well, now we've got our podcast roundup so if you're even just boiling water for Ramen (which was dinner yesterday), you can still get some gaming-time in (of sorts). Today we have: Epic Gaming Night Podcast Ep 53 Competitive Gaming, Game Classy 113: Age of Sigmar Throws in the Towel, From the Hip CT Festival of Indie Games, Dr. Raffael Boccamazzo on D&D and Autism, Skirmish Supremacy Podcast Episode Fourteen: Homebrew Worlds, All Us Geeks Can The Geeks Episode 66: Roll With Hero Dice?, and News of the North – 2016-05-10. The natural order is maintained. Monday has given way to Tuesday. How was everyone's Monday? Mine was ok, but it seemed that a lot of people weren't having that great of a start to the week. As such, people are trying to get a bit back "on track" and make the rest of the week better. I know what'll help: gaming podcasts. 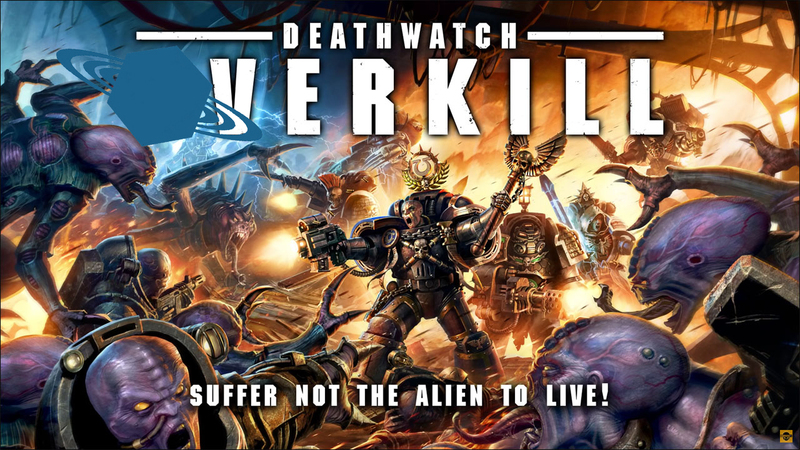 Today we have: Ice Cream For Everyone Ep 14: Matthew Dawkins, Epic Gaming Night Podcast Ep 44 Ashes of Winter With Isaac Vega, Meeples & Miniatures – Episode 166 – Open Combat & Airfix Battles, Privateer Press Primecast Episode 28, Game Classy 108: The Review of Deathwatch Overkill, Ding and Dent Episode 13 - Techno Bowl Review and Brent Spivey Interview, All Us Geeks ep 65: Do the Geeks Get Distracted By Shiny Dice, and Man Battlestations Podcast Episode 4. We've once again come to Tuesday. With any luck, your Monday wasn't so bad. I made s'mores last night. So my day was just fine (I found myself with extra graham crackers after making cheesecake last week. So... s'mores). I'm hoping yours was just fine as well. As for today, we've got our Podcast Roundup. So if you want to hear people talk about the games you love, this is just the place for you. 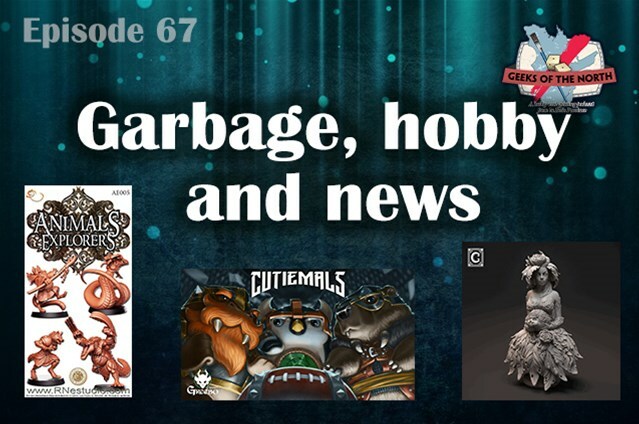 Today's group includes: Game Classy 98: “Models of Various Condition”, All Us Geeks Episode 62: Two Geeks Trying To Survive in the Chaosmos, Epic Game Night Podcast Ep 22: CCGs & LCGs, and Beyond Kalidasia Season 3 Episode 9 - Production. It's Tuesday and that means it's time for another Podcast Roundup. Tired of listening to your coworkers? Grab your headphones and get your nerd on. 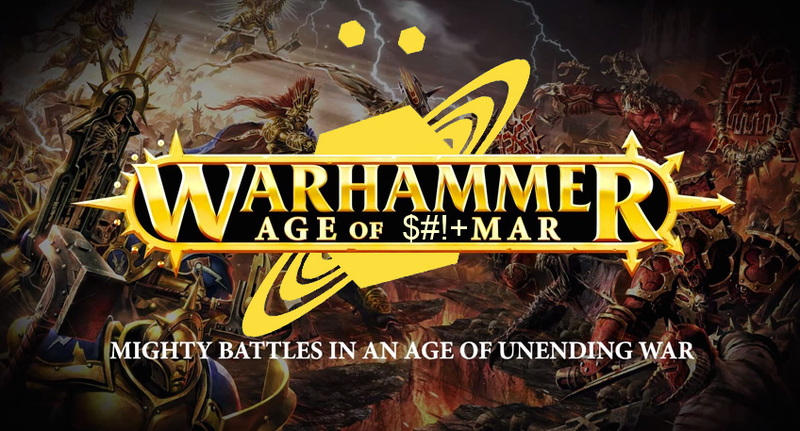 In this batch we have: Multiple videos from Through Gamer Goggles as they tooled around at Gen Con, Mantic posts an unboxing of Abyssal Dwarves, Geeks of the North Episode 18 – Happy Birthday, and All Us Geeks Episode 59 Having Great Snowball Battles During Table Golf. We've made our way to another Tuesday. The week is well and underway now. ... is anyone else's Tuesday taking a long time, though? But anyway, enough of that. Let's get in to our Podcast Roundup. 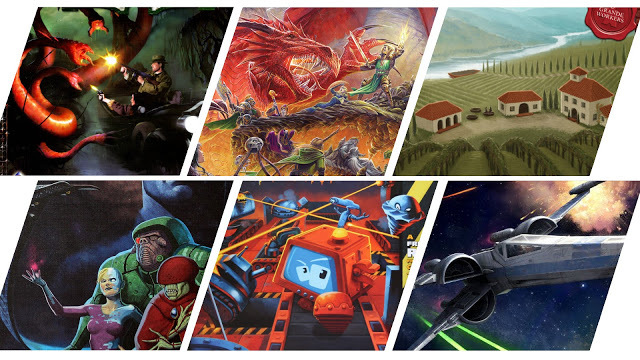 In this batch we have: Plaid Hat Games Podcast Episode 180: The Road to Texas, CoolMiniOrNot Podcast Episode 4: The Rise and Fall of Feasting Jared (Not Our Jared), Game Classy 91: Age of ****mar, Beyond Kalidasia Season 3 Episode 5 - Overview of the Beta Phase, and All Us Geeks Episode 58. Well, I've managed to solve my "thinking it's one day when it's really another" thing that was happening over the weekend. There was no doubting that yesterday was a Monday. Even though nothing bad happened, it's hard to miss the start of the work week. But as that day is now over and we've moved along, it's time for Tuesday. 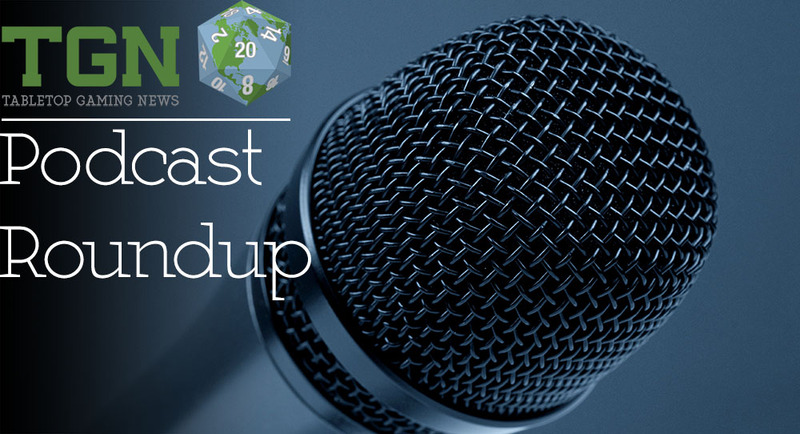 And with Tuesday that means we've got our Podcast Roundup. 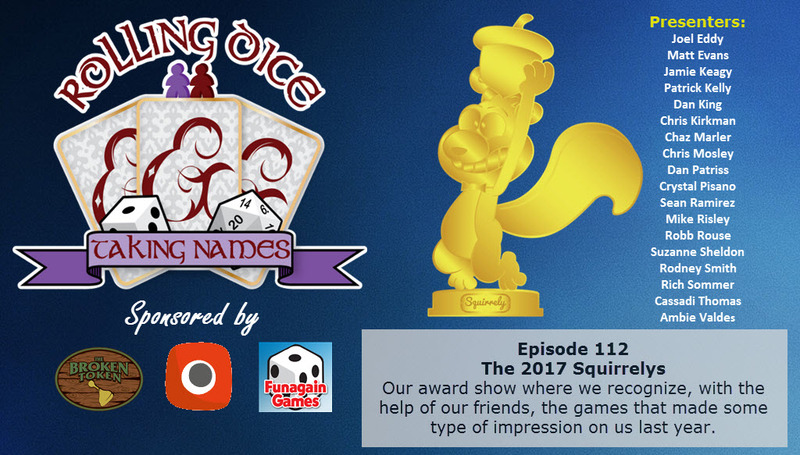 This time we have: Tales of Malifaux 05, and All Us Geeks Episode 57. All Us Geeks takes a look at the Prohibition-era card game, Hooch, in this video preview. Jeff takes a look at Hooch, from Talon Strikes Studios, on Kickstarter through October 20, 2014.